Starting out in this sport, there is not much showing quicker success than using the best duck calls for beginners. Duck hunting is rooted deep in tradition. Techniques and secrets handed down over time, from grandfathers, to fathers, and to sons and daughters. Much of the knowledge about this sport, and any hunting for that matter, is not found in magazines or the internet, but found from the people who have put in years of practice, perfecting their methods. I am lucky to have such mentors in my life, teaching me not only how to duck hunt, but also how to respect the animal, and its spirit. Any true hunter knows the value of this. If you are just beginning the path down this fun, challenging sport, then this article should serve you well. Any duck hunter will tell you that his duck hunting calls are not just a another add-on item to carry around, but a real part of himself, chosen with care. Time is something I, along with many other hunters, have put into choosing the best duck calls to use. I still use the same ones that have proven well since I began hunting many years ago. Novice duck hunters should start with a call that is easy to master, and will help build skills to eventually move to a more sophisticated call. Some things to keep your eye out for when choosing a duck hunting call for the first time are; distance, volume, durability, ease of use, and material of which it is made. Distance is a very important thing to consider, because depending on the duck being hunted the distance from which you will be calling can change drastically. Wood ducks perch in trees, stick to small potholes, and are small in numbers. Mallards tend to stick to water, fly in higher numbers, and can be found in nearly any type of water environment. Each call will have unique capabilities. If your hunting ground is close range, and you do not need to call very far to get ducks to come in, then a softer call is best to use. However, if you are calling them in from a distance, obviously a louder, long range call is in order. If you are a beginner, ask a seasoned hunter about your hunting grounds, and see what they would use. The material it is made of is important for distance, sound, and variety of calls. Today there are a few choices; poly-carbonate plastic, wood, and acrylic. The denser the material, the louder the call will be, thus giving it longer range. Wood Is the softer of the three, having really mellow tones. Polycarbonate is the loudest, and great for long distance calling. Acrylic lies in the middle of these two. It should go without saying that ease of use is important for beginning duck hunters. Sure, more elaborate calls might have wider range, or multiple uses, but if you have not mastered them they are not going to help much. Find one that sounds good, has good success rates, and is affordable. Most hunters have several calls they use for different species, and different circumstances. Do not be fooled by looks. Many calls have elaborate, ornate details, but couldn’t call a duck if your life depended on it. Sound is the most important aspect, so base your decision off this attribute, along with the other items I present to you in this article. It still amazes me how many hunters get sucked into this “materialistic” ideal of hunting, where the looks of a product somehow out do its function. This is a somewhat important feature of duck calls, but especially for beginners. Finding a duck call that can be used for multiple species is a big bonus for novices. Some calls come with two or three calls in one, which can be harder to use. If you find a good one, however, it can be a beginner’s dream call. Like I said, most hunter’s have several calls to choose from. Even a beginner should consider two or three calls to start with. Ducks are diverse, and even if something may have worked today, the same thing may not call them in tomorrow. Each call is different, and used for different reasons. As a beginner, find a call that you like and build slowly from there. Starting out with a bunch of calls is not a good idea, because you will most likely not take the time to master even one of them. The amount of reeds in a call affects call variety also. For a beginner, it is wise to choose a double reed design. They are much easier to master and sound good as well. The single reed calls are the best, but only for experienced callers. Once mastered, they produce the most realistic and greatest variety of sounds. Choosing a duck call in today’s over-flooded market can be a challenging task. Here I will provide a few examples of what I would use today as a novice duck hunter. One more word of advice for you before we get to it; I would find a double reed call to begin hunting with, but also buy a single reed call to practice on. The sooner you begin practicing, the sooner you will become a professional duck caller. This is a great beginner call. 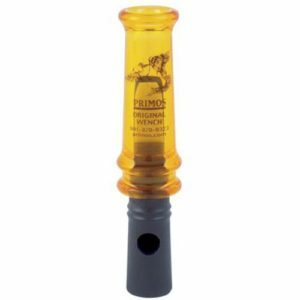 It has a triple-reed design to give the novice even more control and ease of calling. 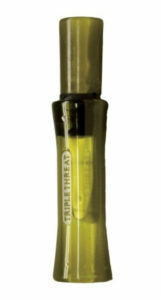 It is easy to clean, tune, and operate making it a top choice for a first duck call. It is waterproof which is a great addition in any call. It will not break easy with its polycarbonate design. This design is also great for calling long range. 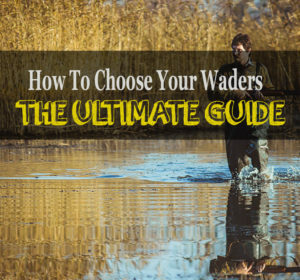 It is designed for mallards, which is the best duck to hunt for beginners, simply because they are just about everywhere and fly in big numbers. Right out of the box a beginner can easily make a quack, a feed call, and a hail call of a mallard hen. It is a little bit pricey for a beginner’s call, but it is one of the easiest to use. The hunter can easily adjust the tone to fit with just about any situation. All calls will stick sometimes due to spit and other gunk getting inside, but because this has triple-reeds, only two will stick, which gives it the ability to still sound like a duck. This call will not be on many other lists, but from personal experience I will tell you it is one of the best beginner calls out there. It is a wood call, so it is prone to swelling and shrinking from moisture content, but it will last a few seasons before having to retire it like all wood calls eventually are. This is a mallard call also, and as I said before, mallard hunting are the best for beginners. 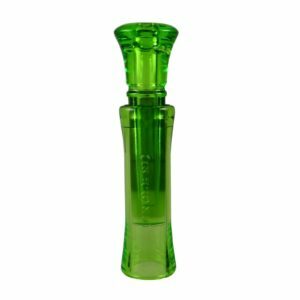 This call is used by guides and professional callers, but with its double-reed design it is easy to master. It has a soft, mellow sound for use in close range situations, and is irresistible to many ducks. They can produce some louder hail calls, but are especially good with softer, quack sounds. This type of duck call comes in open water or timber models, and are made from a variety of wood to fit your specific situation. It is a highly rated call for all skill level hunters. Combining this call with a longer range call would be enough to set out duck hunting now. The wood, as a bonus, is absolutely beautiful. This is another call from the great team at Duck Commander. Another great beginner call, it is easy to blow. The polycarbonate design makes it super durable, and resistant to damage. It is a single-reed call which is usually more difficult for beginners, but this one is actually made for the beginner. Because of its single-reed design, it is a great call for the beginner to practice on to become acquainted with the diversity of a single-reed call. This one makes great raspy sounds, and will call them in from a great distance. Made for mallards, this call is also useful for teal ducks, or wood ducks. This is an extremely loud call, so if you are hunting big, open lakes or any other big area, than this call is perfect. It is a little higher priced, but do not be fooled. This call will outlast even the hundred dollar brands, so it is well worth it. The last, but not least, on the list is a Primos product. This call has a patented sound board system that keeps the reeds from sticking. It is simple to take apart and clean. Easy to blow, so a great first call for someone. The barrel is a super-dense poly-carbonate material for great volume and distance. There is a tuning hole/stopper at the end to manipulate the tone, and even mimic other ducks after some practice. The price is unbeatable for a first call. If you seek accuracy with only a little practice, and versatility after some more, then this is the one for you. This is so easy to master that even a child can do it. That is not meant to deter any seasoned caller, as it will work for anyone. The hail call is loud and very realistic to call in long range ducks. Many hunters that I personally know stand by this one as a great addition to any lanyard. Although I am particularly fond of the Echo call, my first choice for the beginner has got to be the Triple Threat by Duck Commander. This call is durable, easy to master, and can produce quacks, hails, and feed calls. It has a rare, triple-reed design to prevent sticking and still perform in even the worst and coldest conditions. It is easy to tune, which cannot be said for many calls, and easy to clean. If you want to get started off right in the sport of duck hunting, then the Triple Threat is a great first call. As always, happy hunting.